By the time you’re finished reading this, you’ll know exactly how to find tons of speaking opportunities so you can fill up your calendar. And if you do this right, you’ll have more events in your database than you can possibly contact. You will even want to hire someone to contact gigs with you so you can double to amount of output and fill up your schedule faster. …Schedule an entire day with ONE purpose: Prospecting. Most speakers think about ‘finding a gig’ and then ‘contacting’ that person at the same time. But if you want to be more efficient, then pick a day and only do your prospecting (finding events). The next day you can start contacting people. Because when you focus on one thing, you go into Beast Mode and nobody can stop you. Your mind has this tunnel vision to do one thing, find events to speak at. And because of this insane level of focus, you find more speaking opportunities in a shorter amount of time. Got it? Good. Now lets get to it. I used to think that finding gigs was a matter of “What website should I go to?” Silly me. The reason most speakers can’t find gigs is because they’re asking the wrong question. What question have you asked yourself a million times? But do you know why this question is bad? It’s because it’s not specific enough. It’s like asking, “How do I build a business?” Well…what kind of business? A tech business? A real-estate business? See my point? Once you start getting more specific, the answer is right in front of you. The first step to finding gigs is to ask yourself a better question. A more specific question. What if instead of asking, “How do I find gigs?” You asked, “How do I speak at colleges?” Ok, that’s more specific, but not specific enough. By getting more specific, you make it easy to find speaking opportunities. If you ask yourself , “How do I speak at the main stage TED Talks?” Then what happens inside your mind? Because you were specific, you immediately go to the TED website and you find the ‘speaker recommendation form.’ Voila! Clarity is the heart of action. When you’re clear about what you’re after, the actions you take reveal themselves. Most speakers don’t find speaking opportunities because they’re not clear on what speaking opportunities they’re after. What if I said, “I want to speak at a marketing event.” Close, but no cigar. How do we get more clear on this? I would need to find a SPECIFIC marketing event I want to present at. 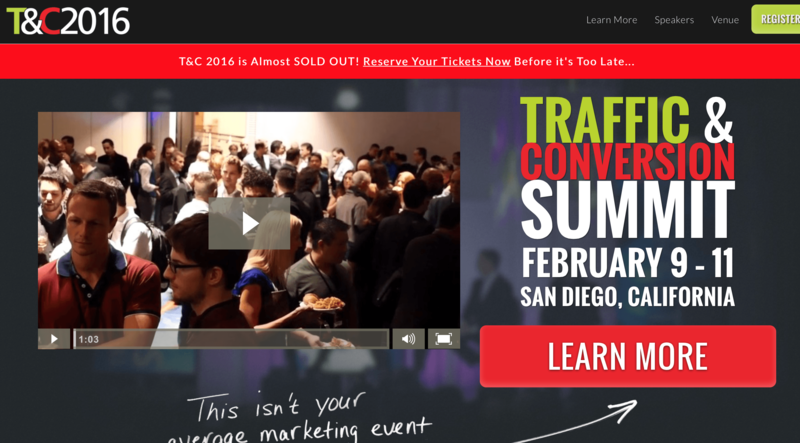 Now I can say, “I want to present at the Traffic & Conversion Summit.” Now, I know exactly who to contact. Specificity is the first way to start getting on more stages and to make it work, you want to write down 10 events (or companies) you want to speak at. Finding speaking gigs comes down to the way you think. Speakers who ‘scroll’ through this page just to ‘get the 22 ways’ will still struggle to find speaking gigs. Why? Because they’re missing the point of this entire post. It’s not about what you know, it’s about how you think. When you’re always in the right ‘mode,’ you always see speaking opportunities around you. In fact, you can’t not see speaking opportunities. Your only problem will be to figure out a capture-mechanism for all the opportunities you find. Connect with people that can hire you to speak, and look for names of events (so you can connect with people). Joe Polish is a great marketer and seems like a really cool guy. And from this sponsored post, you see that he’s doing his annual event for his mastermind group. What’s the point? Just by looking down my newsfeed, I see a potential event I can contact. Both of those screenshots were taken when I began reading stories from the Pulse App on my phone. Notice how they talk about conferences/events in those stories? Do you see how events are everywhere? When you’re in the mode of ‘people & events’ then you’re focusing on one thing…filling up your CRM with names of people who can hire you, and names of events you want to speak at. 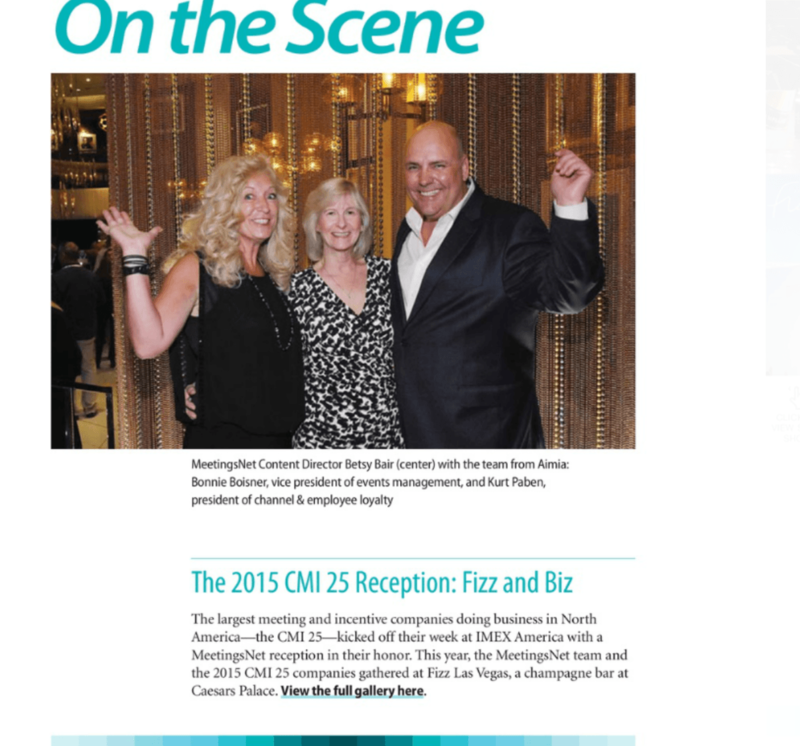 Are you following meeting planner magazines? If not, shame on you. These are the people who hire you so you better stick to them like white on rice. What can you do with this? How can you find a speaking opportunity? Do you see it? All that from one section of a meeting planner magazine. Imagine how much information you can get from meeting planner magazines if you go through the entire thing. This is why you have to be an ‘event hound.’ Most speakers would just look at this and see a few people smiling. But the business-savvy speaker will realize that they can get names of people who can hire them and events they can get hired at. There are events/people everywhere. You just have to open your eyes to everything. 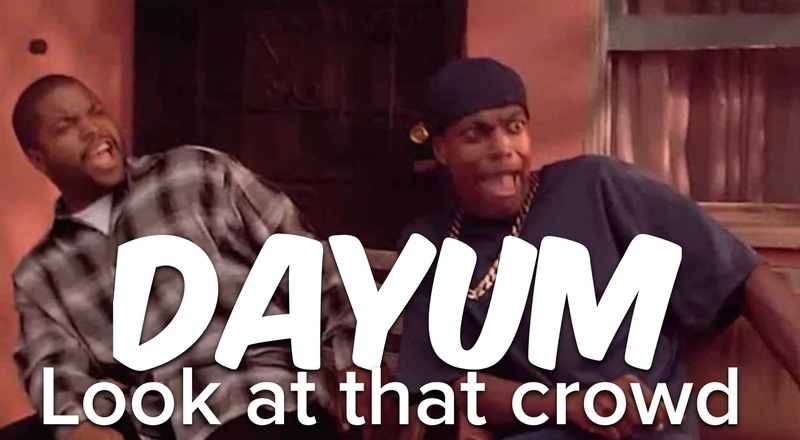 And when you see people/events, put them into your CRM so you can contact them later. When you’re on Facebook, not only should you be looking out for moments where someone mentions an event, but you should actively search for them. She’s pretty. But stop distracting me. 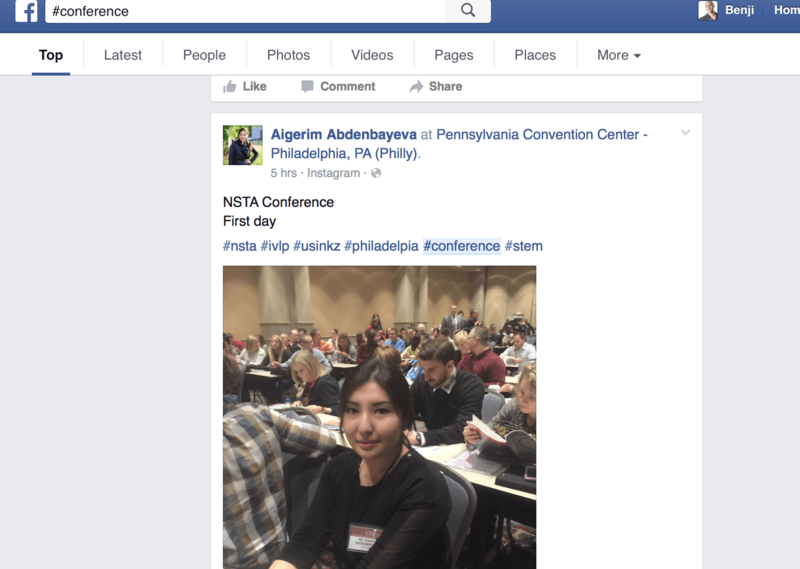 It looks like someone posted about a conference in Philadelphia so what should you do? 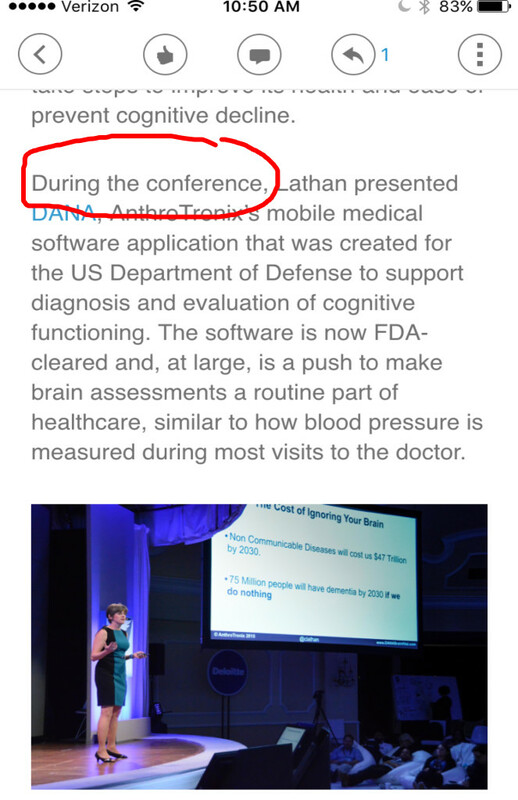 Look it up to see if it’s a conference you want to speak at. Twitter is extremely useful to you if you want to find speaking gigs. 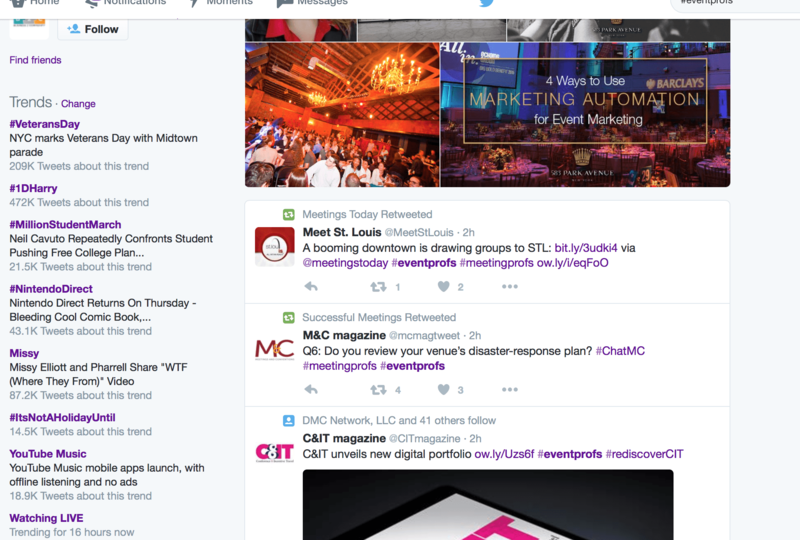 Not only can you look up conferences/events on Twitter, but you should be following meeting planners on Twitter to see what they’re talking about. 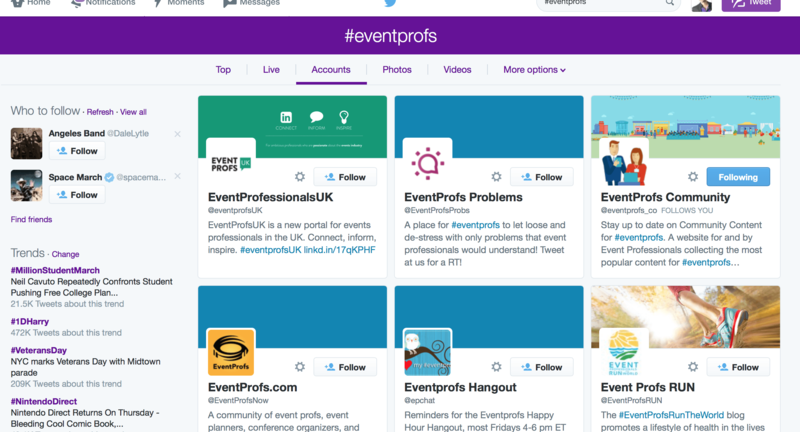 Just by searching #eventprofs, I see several people/events I can connect with. Once again, you have more people/events to contact. It’s endless. Just take note of the hashtags people use. Take note of who they follow. Take note of who Twitter recommends to you when you follow a meeting planner (because Twitter will recommend ‘similar’ people once you follow someone). Twitter is your best friend for finding speaking opportunities. It’s also a good idea to set up a tab on Hootsuite just for meeting planners and/or put people into ‘lists’ on Twitter. 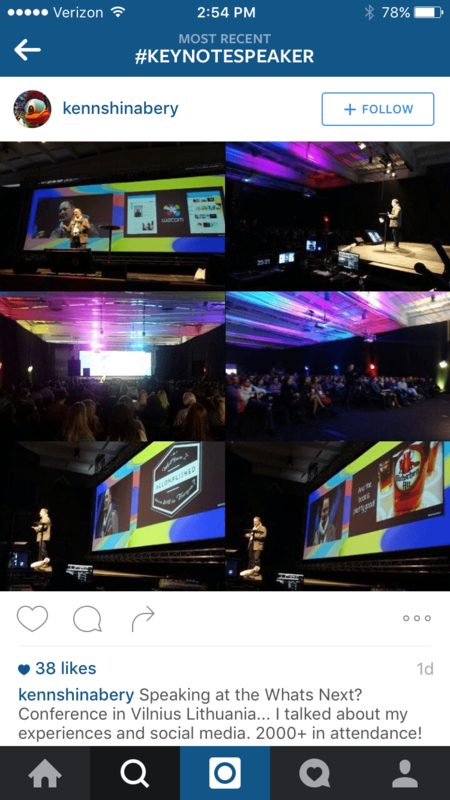 Event attendees, meeting planners, and speakers, post pictures of events on Instagram. They’re all over the place…you just have to do a simple Hashtag search. And that’s just one event. Imagine how many other people are uploading pictures of events. And once you find a hashtag, just keep clicking on the next one. Keep a list of the hashtags you find so you can go back to your list when you need to look for more events. Everyone wants to know how to use LinkedIn to find more speaking engagements. 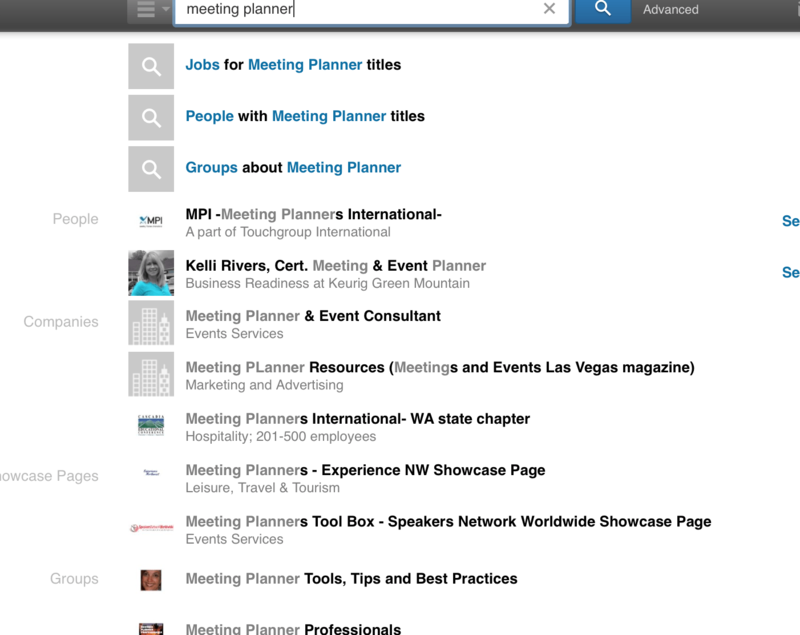 When you type ‘meeting planner’ into LinkedIn, you’ll see all kinds of information come up. People, groups, the whole sha-bang. And now it’s time to become that ‘event hound’ and look for people/events to put into your CRM. If you want more corporate speaking gigs, then you can get them by speaking for associations. ASAE is the ‘association of associations’ and they have a directory of associations you can contact. If you browse their site, then you’ll see tons of events and people that you can contact for speaking opportunities. And if you do a little search, you’ll come across their directory where you can find all kinds of associations to contact. This is pretty simple and I’m surprised most speakers don’t do it. If you want to find speaking opportunities, then where better to find them than at a hotel? 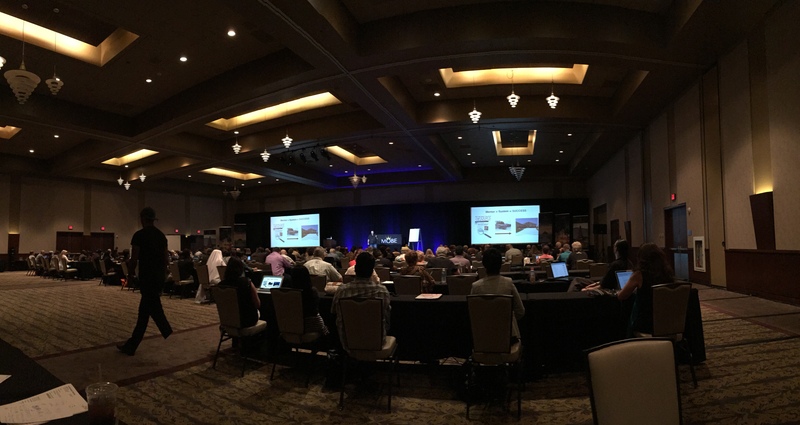 That’s a picture I took when I was speaking at an event in Atlanta and I’m constantly taking pictures of the list of events when I speak somewhere. You should be too. From this list, you might see an event that you want to speak at and you can contact them later…or even better…go introduce yourself right there and then. 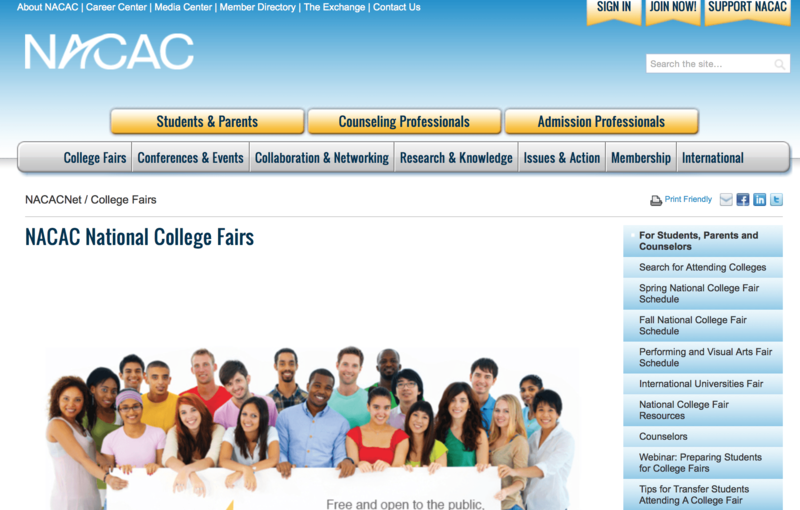 If you speak to the college market then you need to know about NACA & APCA. Both of these are ‘fairs’ where you get on stage and present for a few minutes (or just have a trade show booth), and if the colleges like you, they’ll book you on the spot. You can fill up an entire years worth of gigs from this one event. That’s how valuable this is. This event is mainly for entertainers. So if you want to speak, then you better be pretty damn entertaining. Even if you don’t ‘showcase’ on stage, it’s a great place for you to be so you can meet all the right people who can bring you in for college events. Remember, you have to be an ‘event hound’ by looking for people/events that can hire you. And when you get around people that can hire you, you can never go wrong. If you don’t want to go to NACA or the APCA, then you can just contact Campus Activities at colleges. You’ll have to do it one by one, and the people change almost every year (because they graduate, etc) but the Campus Activities are the people you want to talk to if you’re going to speak at colleges. Google Alerts & Talkwalker allow you to set up alerts for anything, and have the information emailed to you. Pretty cool huh? You can use this to find speaking gigs by setting up alerts for keywords like: ‘Conference’ ‘Award Banquet’ etc. It’s best if you set up a separate gmail account just for this because you don’t want to open your phone and a ton of emails come through. Set up a separate gmail account with one purpose…Alerts. 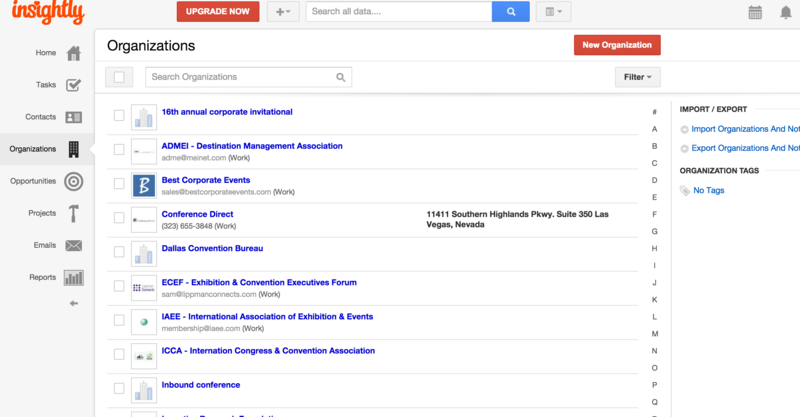 Then you can sift through them when you’re prospecting for events. Can’t leave out the good ole’ Google search. 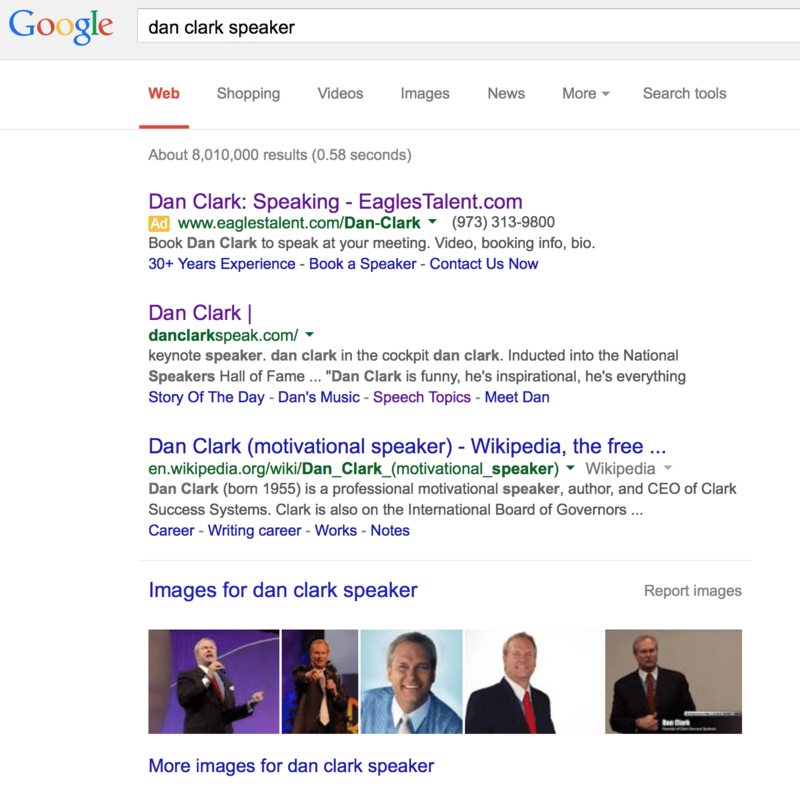 Google is your best friend when it comes to finding speaking gigs. But don’t type in things like “How to find speaking gigs.” That’s just dumb. Instead, use Google to find speaking gigs. 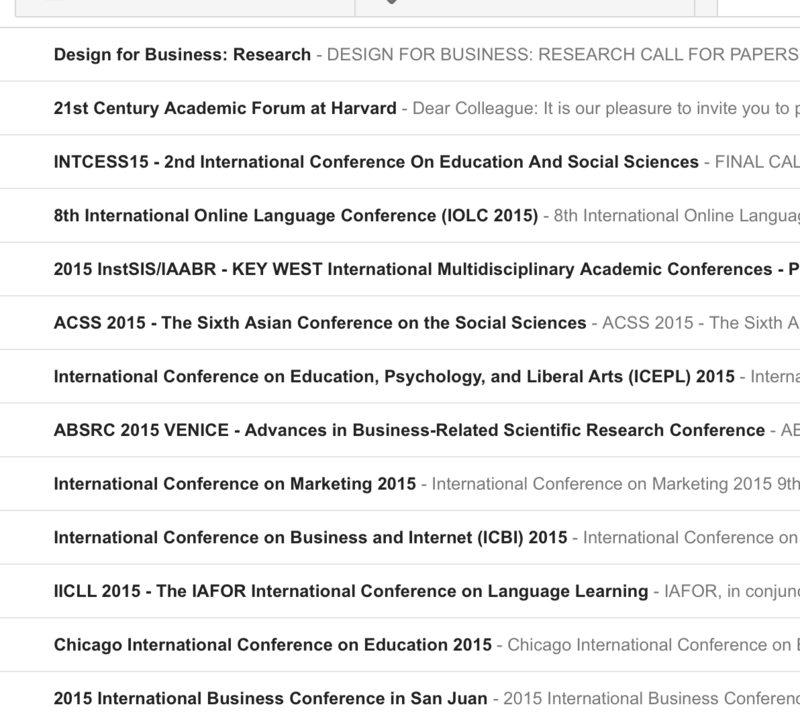 Type in things like, ‘conference directory’ ‘list of events’ ‘directory of events’ ‘speak at TED Talk’ etc. DMCs are Destination Management Companies. They’re like speaker bureaus, but instead of just hiring a speaker, they do the whole sha-bang. 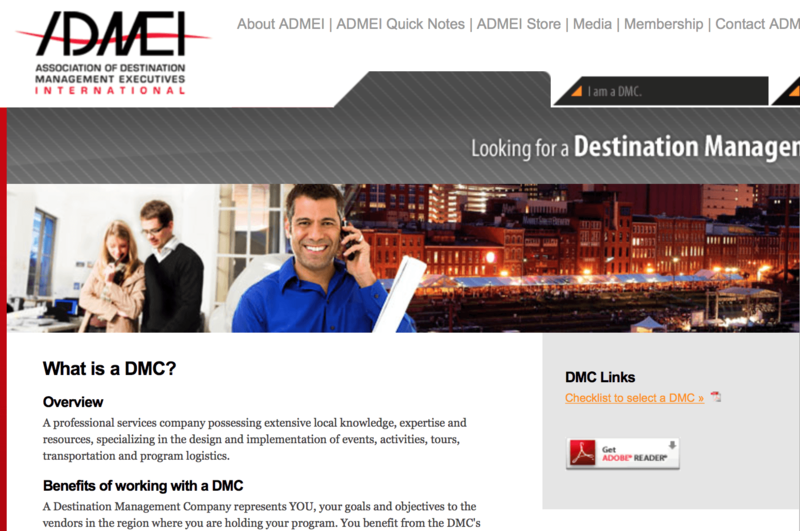 ADMEI is the association of Destination Management Companies. You can do a Google search for them and connect with them on Twitter, etc. DMCs aren’t really a way to ‘find’ speaking gigs…Just like Speaker Bureaus aren’t a way to ‘find’ gigs. But they are people you can follow on Twitter, etc to see what they’re talking about, what events they mention, etc. And then you can put it in your calendar. 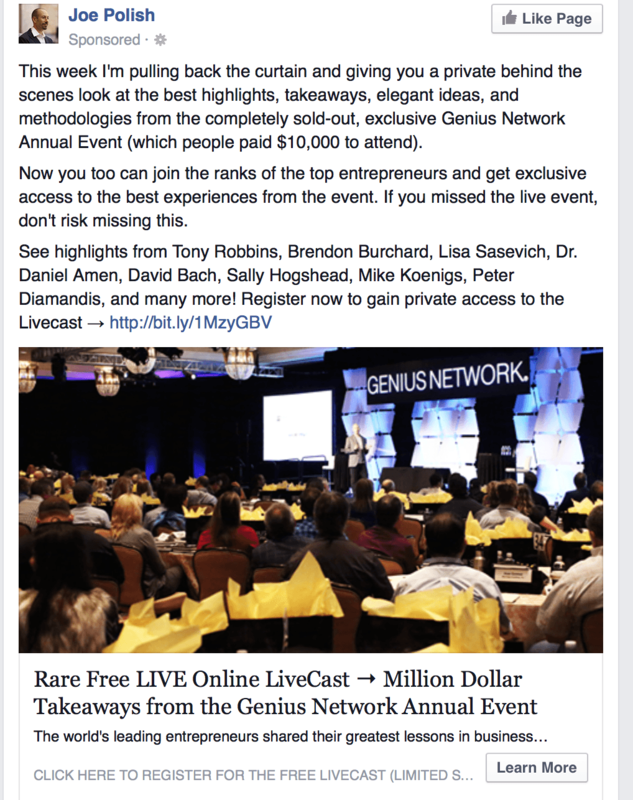 This is a very effective way to find speaking opportunities because it’s highly targeted. What do I mean by ‘crashing events?’ Do you just show up like you’re crashing a wedding? …Yup. Think about it…where are you guaranteed to find people and events that can hire you as a speaker? At hotels. People host events at hotels, so you might as well go to them and introduce yourself. 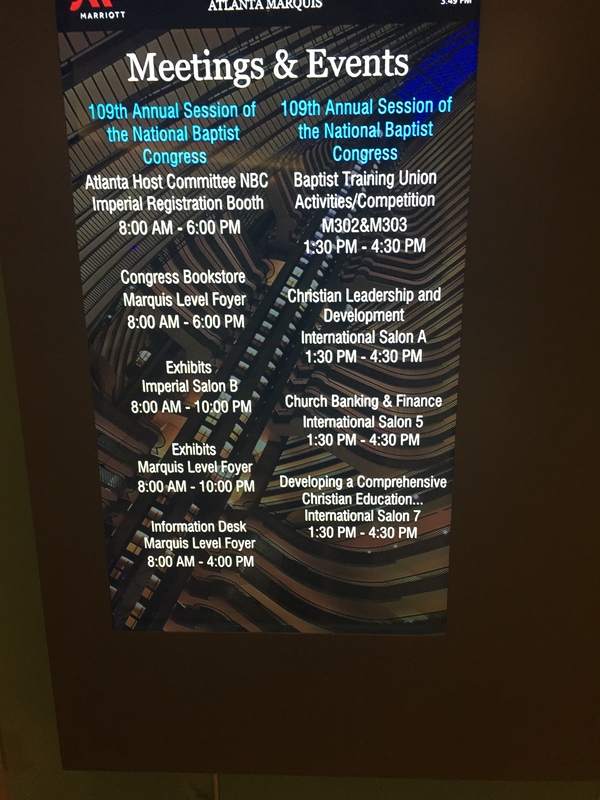 When you crash an event, you simply go to a hotel, look at the list of events going on for the day and pick an event that would make sense for your speaking topic. If you’re a leadership speaker and you see a conference called “Leadership 101” then that’s the event you want to crash. Do you just walk into the event, go on stage, and start speaking? No. Not unless you want to get tased and thrown out for acting like a mad-man. You walk into the event, and if there are people at a registration desk, then introduce yourself to them. Ask them about the event. Talk to them. Be interested in what’s going on. And then ask for the person in charge of the event. If they ask you why, then tell them why. Tell them you’re a speaker and the event looks great. Now you’ll end up talking with the exact person who can hire you for speaking opportunities and you’ll be able to build a small connection. And this is where the benefit of ‘you being different’ comes into play. 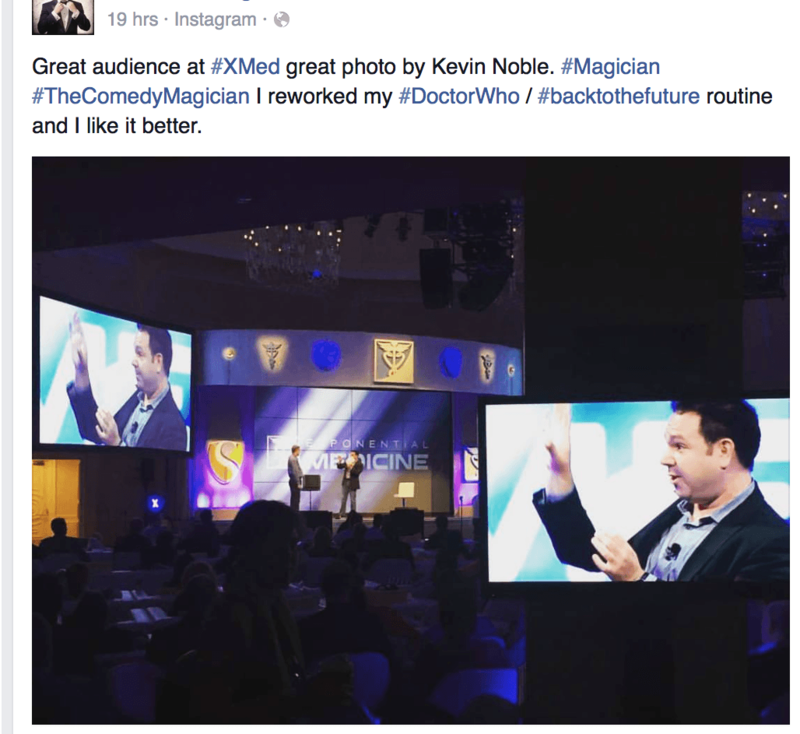 When I crash an event, I tell them how ‘interactive’ my presentations are and how I combine mentalism with speaking. 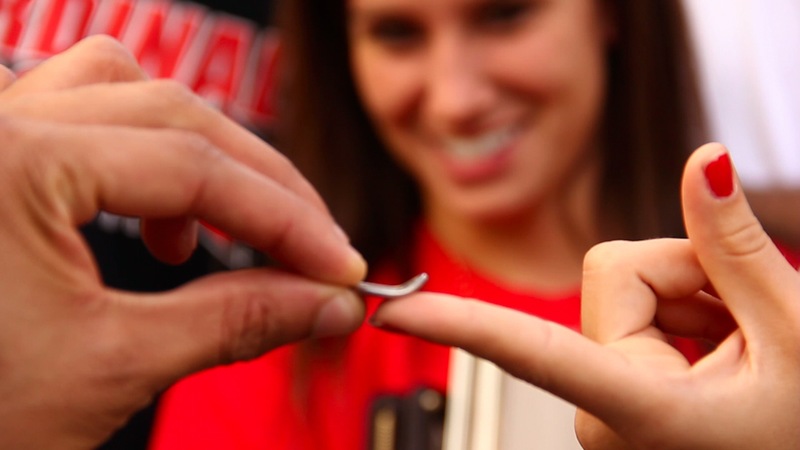 Then I do a really cool demonstration where they take out a coin from their pocket and I cause the coin to bend on their finger. So you need to figure out a demonstration you can do with your speaking topic. Don’t just tell people you’re a great speaker, show them. How can you prove your claims? What demonstration can you think of? Most companies have more than one event per year. And the bigger the company, the more likely they’ll have multiple events going on in different regions. Since most companies have multiple events, you want to ask about it when you get hired for one. SalesForce has TONS of events. So if you got hired by SalesForce for one, then ask the person that hired you to bring you in for other events. If they don’t have the power, then ask who you need to know and if they can recommend you. Once a company is convinced of hiring you, it’s easier to convince them to hire you for more events. Ok, this one is pretty brilliant. You know how speakers always post pictures/videos of them speaking at an event (I know I do)? Well…you can use that to find speaking opportunities. Make sense? When most speakers see another speaker make a post on Facebook and say, “I’m speaking at XYZ conference” …the speaker reading it thinks, “Aww man. How did he get that gig?” And they secretly wish it was them (I bet you do it too. Don’t lie…or your nose will grow). But being the business-savvy speaker you are, you should take note of that event so you can contact them for next year. And not only can you contact them for next year, but you also get a TON of information about the event by knowing who they hired. Dan Clark was the main keynote speaker. Ok cool. 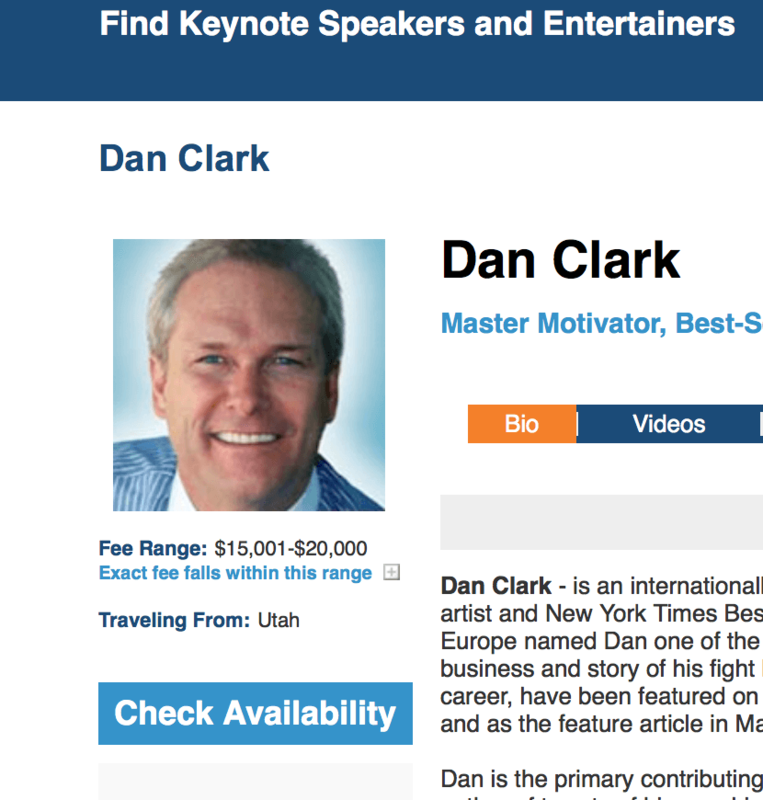 But who is Dan Clark? If a Speaker Bureau comes up, then I click on that first. Why? Because most speaker bureaus will show you the speaker’s fee-range. This gives me an idea of what the event paid him. Ok perfect. $15,000-$20,000. That means the event is willing to spend money on a good speaker. The next thing I do is check out the speaker’s website to see what this speaker is like. (Just because a bureau has a price doesn’t mean a speaker is booked up). Yup…I did a double take. Obviously, this guy is a pro. The crowd looks like a huge rock concert so this guy must be pretty good. All of this lets you know that the event he spoke at has the budget to hire great speakers. The only question that remains is… are they willing to spend it on you? 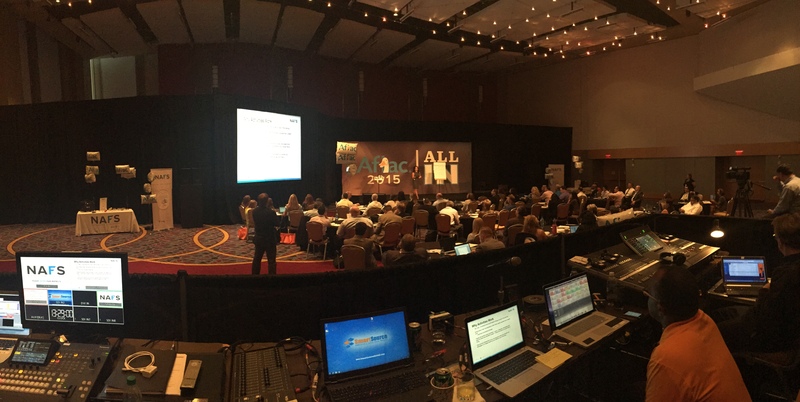 Most (if not all) corporate events hire different speakers each year. Why? 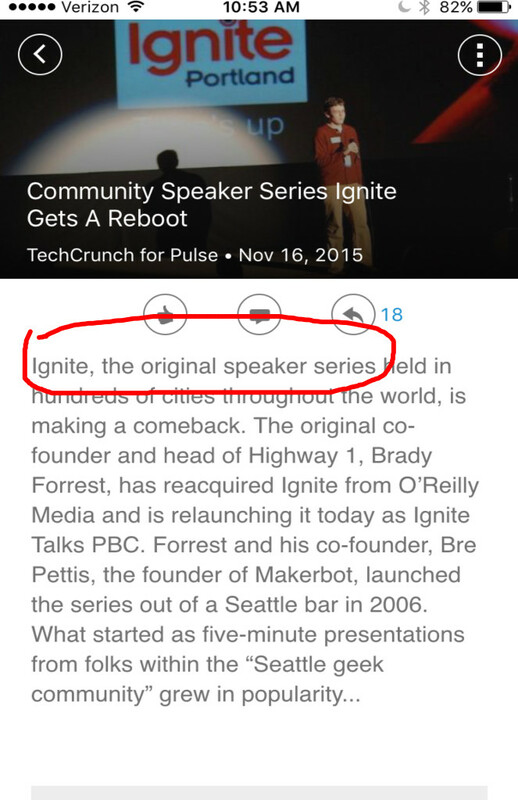 Because no matter how great a speaker is, they want something different for next year. That’s just how it works. So when you see who they hired one year, focus on getting it for the next year. This is similar to the one above where you look at what speakers did in the past so you can contact the event in the future. Except, instead of just looking for one speaker at a time, you use a speaker directory like eSpeakers. 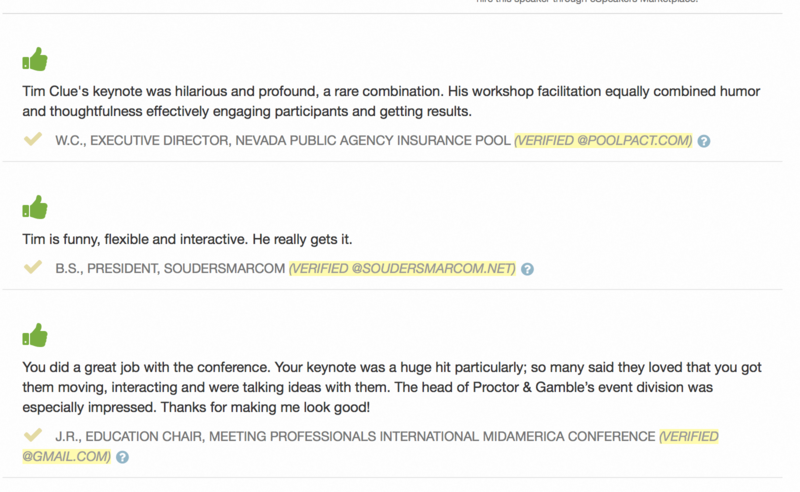 On sites like eSpeakers, people can leave reviews of the speakers they hire. When you click on the speaker’s profile, you see the reviews, and more importantly, you see the names of the companies that hired them. See where I’m going with this? Now that you know a company hired the speaker, you can contact that company for next year to hire you. Another benefit of this method for finding speaking opportunities is that you can search for speakers in the price range you want to charge. If you want to charge $10,000 then only look at the reviews of speakers who charge $10,000 and up. Fill up your CRM with the names/companies that hired the speakers in the past and contact them later. Some speakers will post their speaking schedule on their website. But how does this help you? When a speaker posts their schedule online, you can look at the events they’re speaking at, and contact them for next year. Remember to save the event names/people in your CRM. But you have to be careful about which speaker’s schedule you’re looking at. 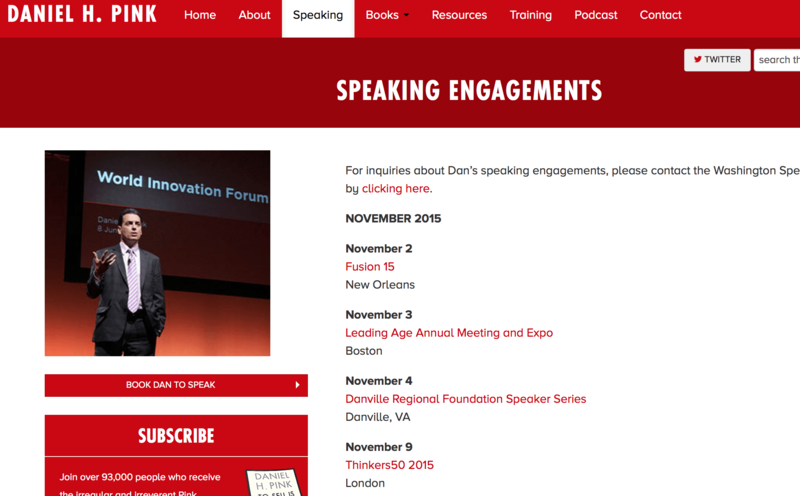 If you’re looking at Dan Pink’s schedule, then you can assume he’s getting paid top dollar. But if you’re looking at Joe Schmoe, then you might be approaching people who can’t afford to pay you to speak. Surprisingly, I don’t know of a single speaker who does this and I’m not sure why. What is it? Look for events that hire entertainment, then contact them to hire you as a speaker. Because it’s proven that they’re ready to spend money if you keep people engaged. 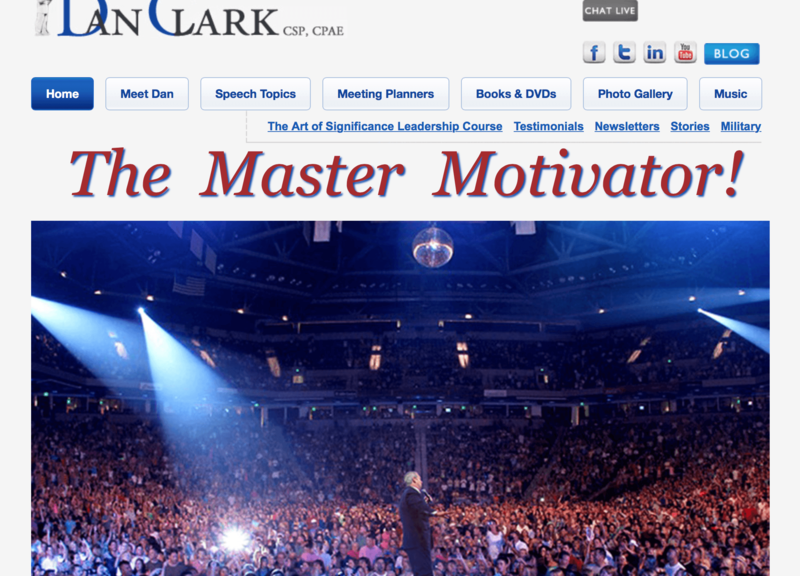 A funny motivational speaker is just as welcomed as a magician. It’s another event that you can contact to offer yourself as a speaker for future events. Entertainers are constantly getting hired for events and you should be taking advantage of it as a speaker. Just because they hired an entertainer one year doesn’t mean they won’t hire a speaker for another year. But if you follow up someone like Robert Strong, you better be a pretty entertaining speaker. Companies that hire entertainment, also hire speakers. Remember, your goal is to find people/events for prospecting. And companies that go to trade shows also put on other events. Going to trade shows allows you to connect with people in the event industry and companies that spend money on events. 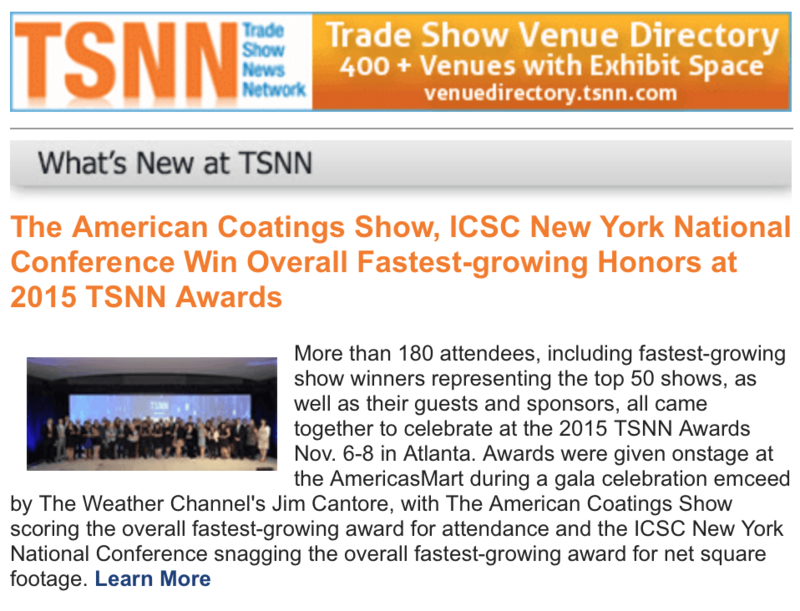 TSNN is the place where you can find all kinds of trade shows going on around the world. And you’ll learn about tons of events as well as people that you can fill up your CRM with. #22 Where do meeting planners hang out? And of course…you want to go where meeting planners hang out. Where are they online? Where are they offline? If you like this article, leave a comment and let me know which one you like the most.